For American liberals, checking the news has become an act of masochism. To scroll through your Facebook feed is to be reminded that a racist clown has the nuclear codes; America is soul-sick; and the moral arc of the universe bends toward the sun swallowing the Earth. Even when the monotonous parade of terrible developments is broken up by a feel-good story, the effect can feel akin to lighting a single stick of incense in a room where Steve Bannon’s morning breath is forever flowing through the vents. Take the protests that broke out at airports all across the country last weekend. The Trump administration came for the refugees, and the American people spoke out. At JFK International in New York, thousands gathered outside Terminal 4 to show their support for those being detained. Within hours, a court order had provided a measure of relief to a small subset of those affected by the White House’s mindless cruelty. As the protestors celebrated, it was possible to believe that the authors of this fiasco might pay dearly for it. And then, a Reuters/Ipsos poll found that 49 percent of Americans agreed with Trump’s executive order, while only 41 percent disagreed. So, no question, the state of the union is weak as hell. The stench of Bannon breath is overwhelming. But there’s reason to think that the seeds those protestors planted will eventually allow liberals to smell the flowers. The first wave of anti-Trump actions may not have freed America from the spell of post-9/11, anti-Muslim fearmongering. But it did inspire Democrats to increase their political involvement — while also securing more than twice as much popular support as the tea party had in April 2010. 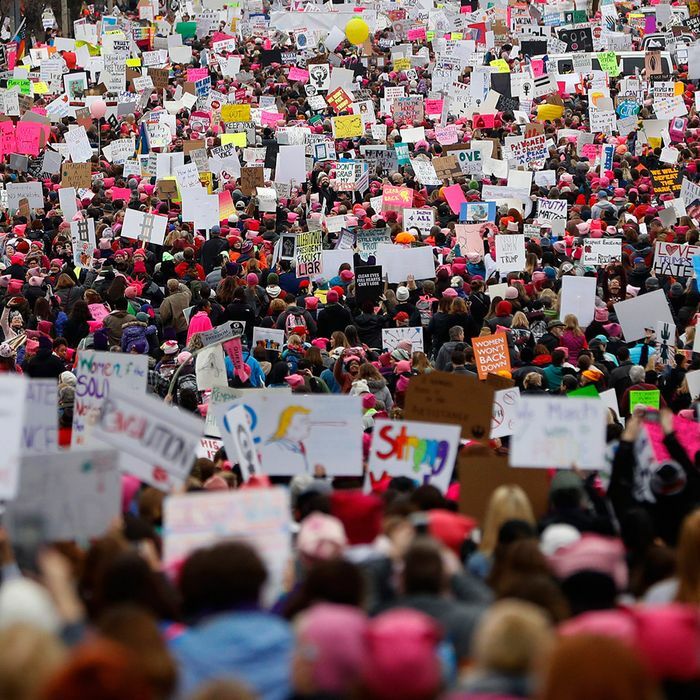 A Washington Post-ABC News poll finds that 57 percent of the public heard “a lot” about the Women’s March — a result that suggests the anti-Trump demonstrators attracted as much attention in a single day of protests as the tea party movement did through months of organizing and demonstrations. Polls from Pew Research Center in 2010 found that just 31 percent of voters had heard “a lot” about the right-wing movement in March of that year, with awareness of the group reaching a peak of 54 percent, just before the midterm elections in October. And the Women’s March didn’t just make a bigger impression than the tea party — they also made a better one. As liberals are painfully aware, being more popular with the public is no guarantee of electoral success. After all, nonvoters are disproportionately Democratic. To make America “already great” again, liberals won’t just need to win over a majority of voters — they’ll also need to mobilize them, starting in the 2018 midterms. But the Post poll has excellent news on that front, too: 40 percent of Democratic women say they plan to get more involved in political causes this year. Only 25 percent of all American adults, and 27 percent of Democratic men (sigh), say the same. Democrats under 50 — particularly those who lean left — are also planning to step up their game in large numbers. 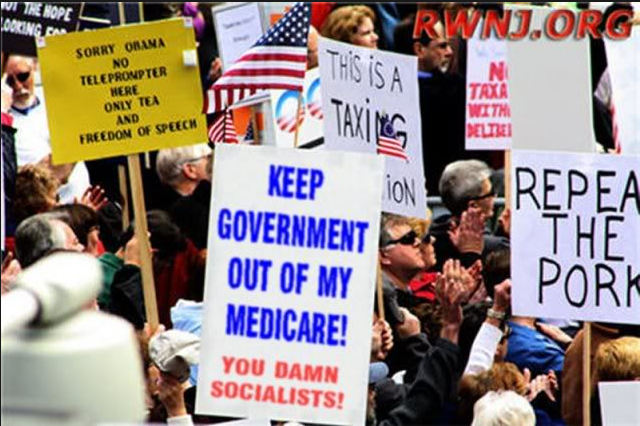 The tea party had some advantages that the anti-Trump left lacks — among them, the Koch network’s vast resources and the fact that conservative, white, middle-class retirees have more free time to spend on politics than your average, non-old Democrat. There’s a lot of bad news coming down the pike. But if liberals can find in it cause for mobilization — instead of demoralization — they’ll have a lot of happy headlines to read in November 2018.